Wonderful Natural History Owls Print! This a wonderful Natural History Owls Print! Isn’t this marvelous?! 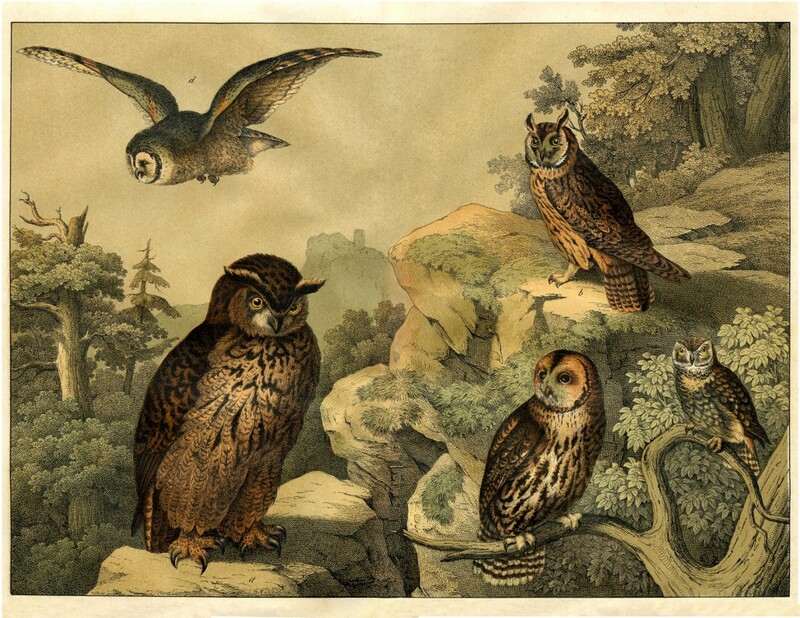 Shown above are 5 lovely Owls in a beautiful natural scene, with mountains and trees. 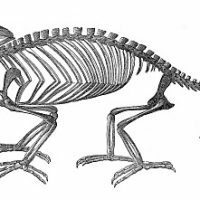 This graphic was scanned from the latest addition to my collection, it’s a fantastic German Children’s Encyclopedia Bird Book!! The book is Circa 1878 and is filled with the most amazing Bird Prints and Engravings! I think this would be perfect in your Fall Decor! 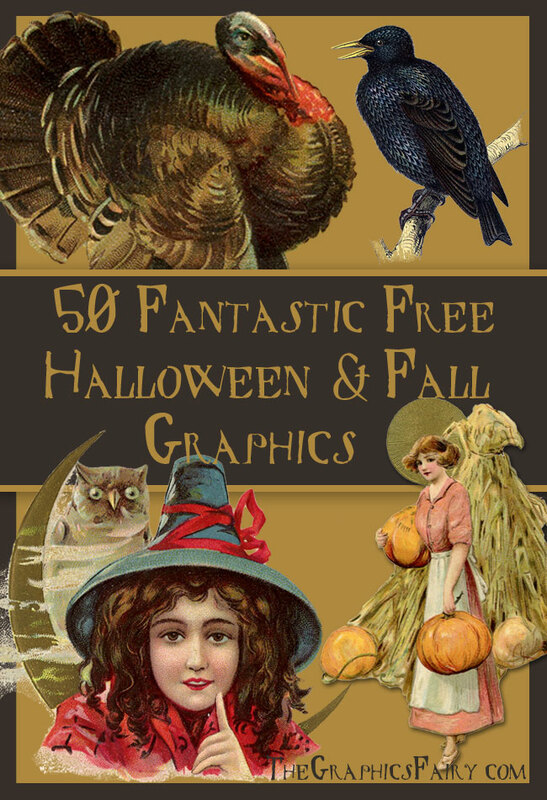 And for even more Fall, and Halloween images, check out the 50 Fantastic Free Halloween and Fall Images HERE! 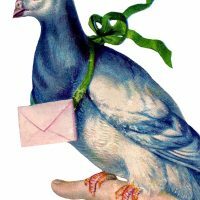 Carrier Pigeon Image with Letter Vintage Clip Art – Strange Chameleon Skeleton – Halloween Vintage Mausoleum Clip Art – Spooky! Oh my goodness, that is just super gorgeous! It would look just amazing framed in a grouping with some of your other beautiful bird prints you’ve shared in the past. It looks like I need to go out and buy some more printer ink! Thank you so much for sharing all of these wonderful things with all of us day after day. I really appreciate it. I have enjoyed many of them !